always have, always will. i grew up eating 2 eggos everyday. 2. not 1, not 3. but 2. 1 wasn't enough, & 3 was too much. so 2 was just the perfect amount. i was also a little crazy about my eggos in every way possible. anyone that ate them had to eat them in an even number, because if i went to the freezer & there was only 1 left, i would be too hungry. & if i went & there were 3, then i'd just have to know that after i ate my 2 the next day i would only have 1. see, i was crazy about them. plus i could only make them cause i made them perfect (i swear by this). toast them, butter & syrup them, put them in the microwave for 15 seconds. BOOM! they're delicious. anyways. i loved eggos & belgian waffles. practically every time we go out to breakfast, i have waffles. & i often make waffles for myself for breakfast. 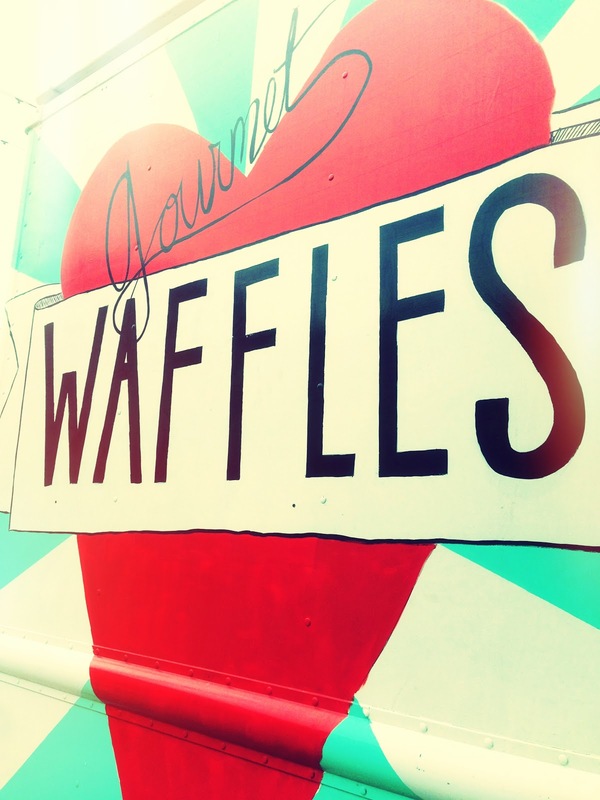 so needless to say, anywhere that is known for there waffles, i want to go. 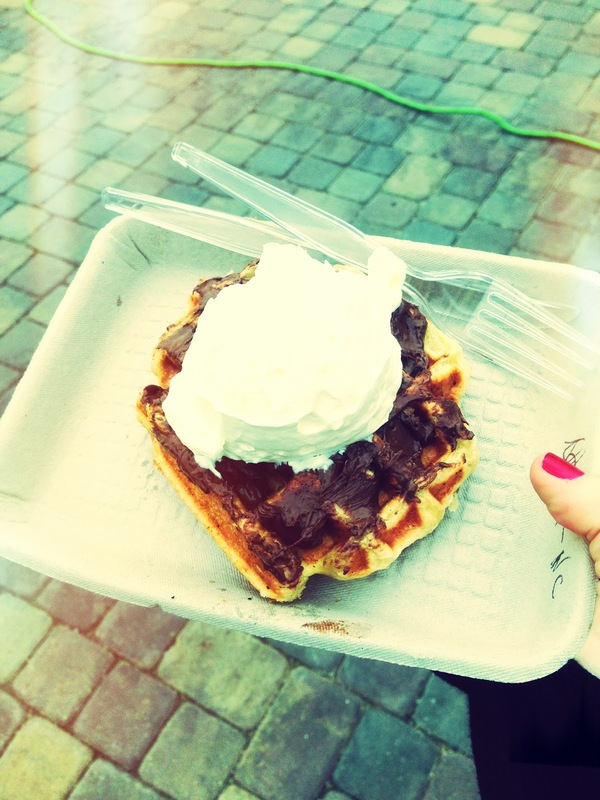 when we were in belgium i devoured many a waffle & they were perfect. never had i ever had a waffle taste so good. 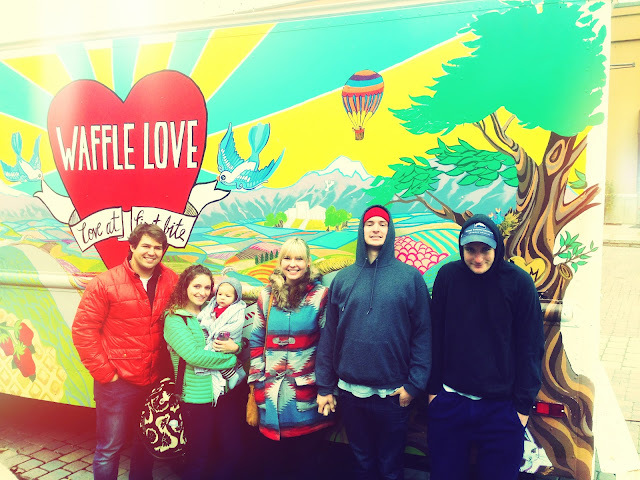 & we've got to bruges waffles & frites in salt lake, & they are so delicious. 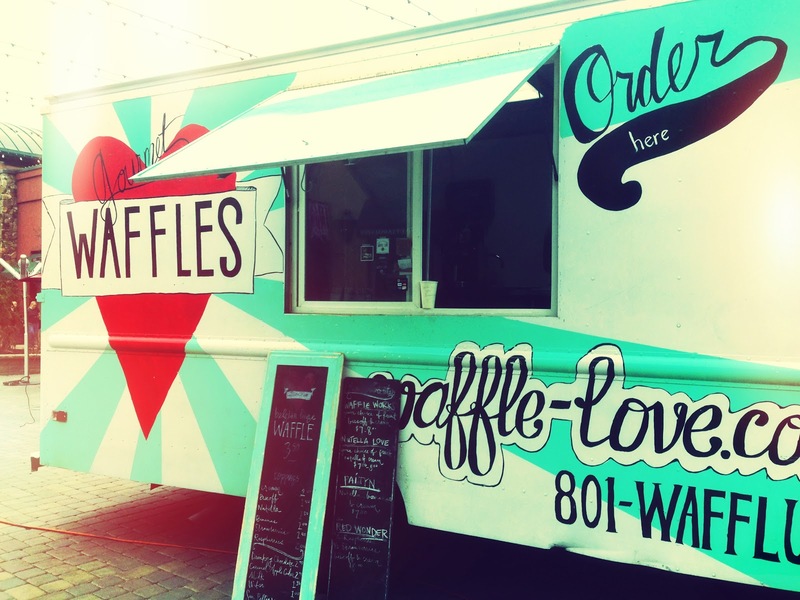 so when i first learned about the waffle truck a few months ago i was intrigued & excited. they move around utah county everyday posting on instagram & twitter where they are. so unless you follow them or just run into them, you don't know where they are. you also don't know until they are there that day. so it's sometimes difficult to catch them. i had sort of forgotten about the waffle truck too, until the other day when austin & i were on our way home & i spotted it. i wanted to go so badly but we had just barely eaten, so we decided we shouldn't. but i did decide to start following them on instagram. so today when i saw they announced they were going to be at the riverwoods for the day i was so, so excited. ashley, shayla & i had been getting our nails done when i saw that they would be in provo, so we decided to go afterwards & i loved it. it's a cool idea that they travel around & the waffles are delicious. i'm so happy to have finally had a taste of them.